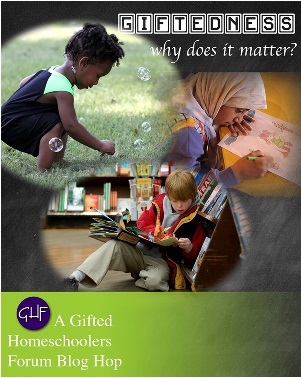 On the Blog Hop – Giftedness: Why Does It Matter? 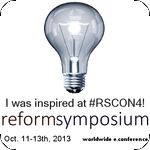 I have just returned from the Gifted Homeschoolers Forum September Blog Hop laden with helpful and encouraging words on the topics of giftedness and homeschooling. Yes, gifted and 2E students matter and deserve to have their needs met! I agree – many attributes such as asynchronous development, intensities and sensitivities that appear weird and quirky in the general population are quite common in the gifted. The gifted do need modifications in parenting and educating and to be valued for who they are! Parenting gifted children can be a hard and lonely path. Finding others with similar stories is a real blessing! No wonder “I’m so glad I found you” brings a big smile to your face! Yes! Giftedness matters because affects every facet of life. Well said! I agree – Identifying gifted children is so crucial. Supporting them is doubly so. 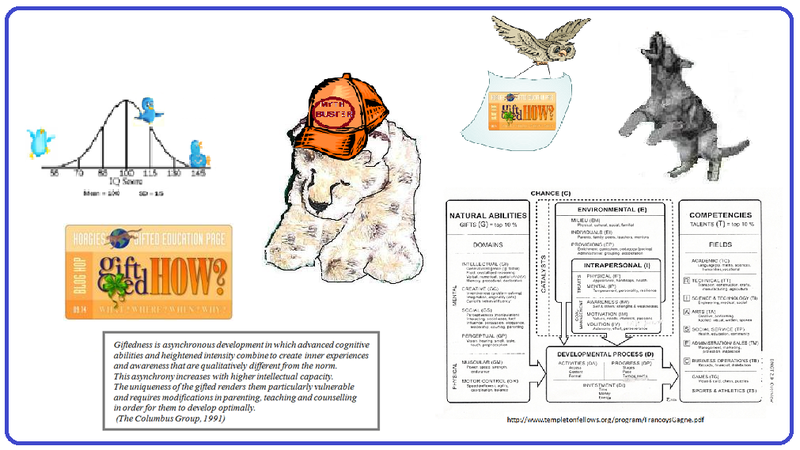 “Giftedness matters because, to quote the Columbus Group definition, the gifted need modifications in parenting, teaching and counselling in order to develop optimally” said the Psych-Owl-Ogist. Thank you for a great post on an important topic, Jade! Great post! All students need an excellent education but gifted students need a special education – an education that is appropriate for them in terms of level, pace, scope and depth. Giftedness matters because it is the word we are using to denote a group that does actually exist and needs modifications in education and parenting in order to thrive! Yes, giftedness matters and matters just as much for adults. This blog is a much needed gathering place. Thank you, Paula! I was not able to leave a comment here but Sprite and I know about this and agree with Maggie McMahon’s post very strongly! Have a read of the posts under the De Bono’s 6 Action Shoes tag on Sprite’s Site. A very awkward moment for me since I’ve been working at Gifted Homeschoolers Forum for a few years. I really ought to know the acronym for overexcitabilities, but I never thought my son had any. Imagination played a vital role in our homeschooling -it enabled us to think completely outside the box, to problem solve, to envisage Utopian conditions and to use humour to get through difficult patches. I still love to hang out with Imaginational Dabrowski! We hope to raise children who will be life long autonomous learners and independent thinkers but these children are certainly not easy to parent or to teach! Thank you so much, Doresa! I love your videos! Thank you, Jen! I love ” it’s not a label unless you print it up on your handy-dandy Dymo and slap it on your kid. It’s a way to better understand how your child observes and interprets and responds to the world. Giftedness is not a badge of honor, nor is it a mark of shame.” That sums it up so well! I love Lesley Sword’s term ‘normal for gifted’ because so many things that are rare, weird, strange etc for the general population are ‘normal for gifted’ and knowing that means that many things which could be gnawsome (great word) worries are par for the course for gifted and should not cause as much stress. Yes! The term gifted matters because giftedness exists and the gifted need to be acknowledged and given the modifications in parenting and education that they need to thrive. Please join us on the hop and read and comment on the posts. The sign announcing the Gifted Homeschoolers Forum September blog hop on the topic ‘Giftedness- why does it matter?’ had been posted and the characters at Sprite’s Site were busy discussing it. “It also matters because there are so many myths and so much misinformation about giftedness” said Columbus Cheetah. 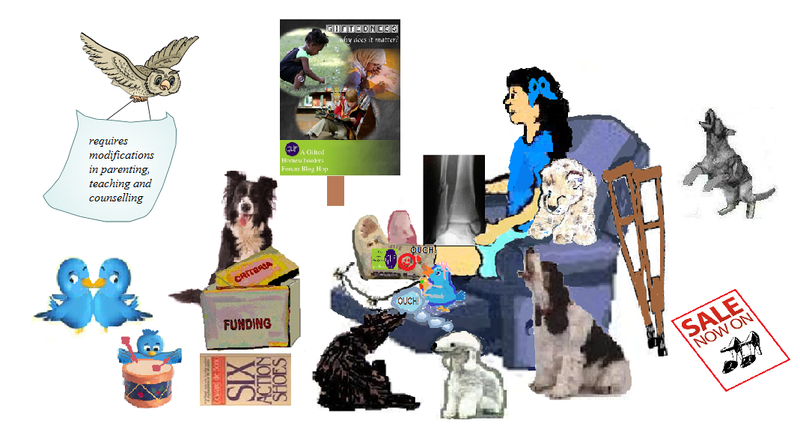 That is why Sprite went back to see Dr Ed Needs recently for progressive achievement testing and planning the next stages of her education. 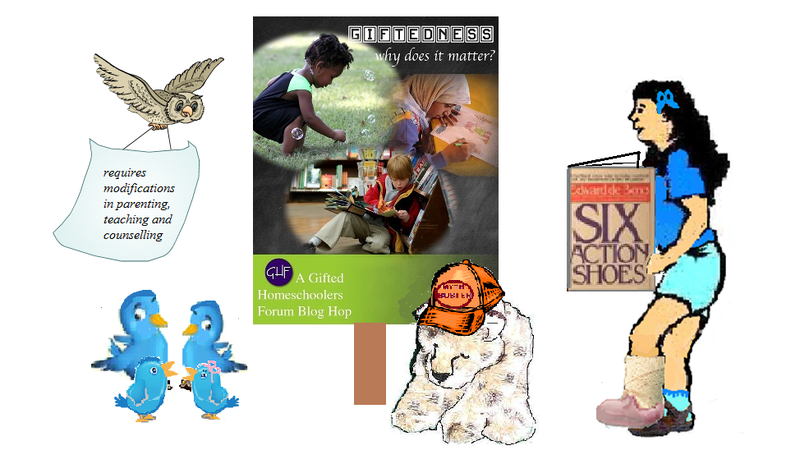 We are planning Sprite’s education programs http://www.giftedresources.org/gr/feetspeakforweb01.htm using De Bono’s 6 Action Shoes as the planning tool and checking the effectiveness of the programs using Gagne’s DMGT model. We need to make both suitable provisions for both her giftedness and support measures for her difficulties. We talked about the topic of Identification of gifted students recently on Twitter #gtchat. 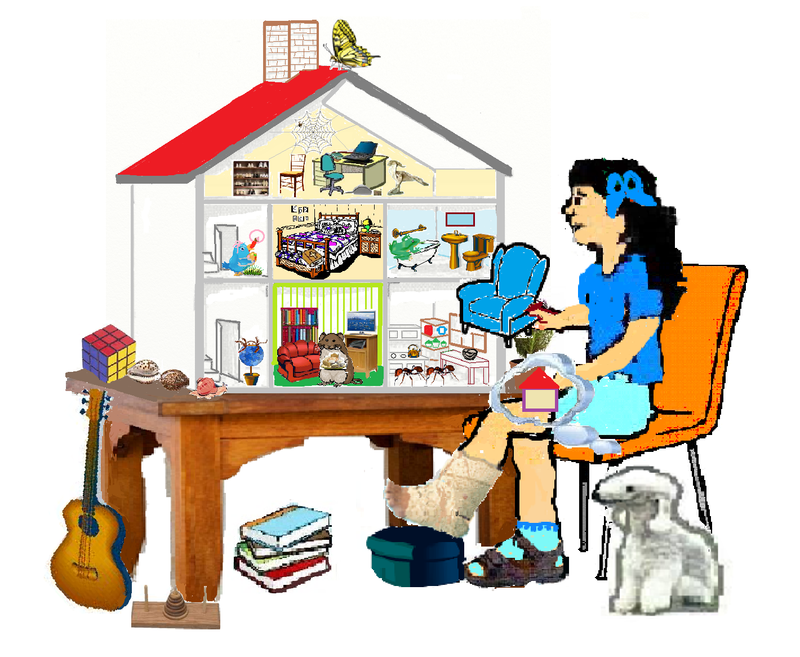 This is a post for the Gifted Homeschoolers Forum September Blog Hop. Buying Christmas and birthday gifts for Sprite is not easy. She is not a fussy, frilly girly-girl and she does not have the same interests as most girls her own age; so gifts that are popular with children of her age and gender often disappoint her. 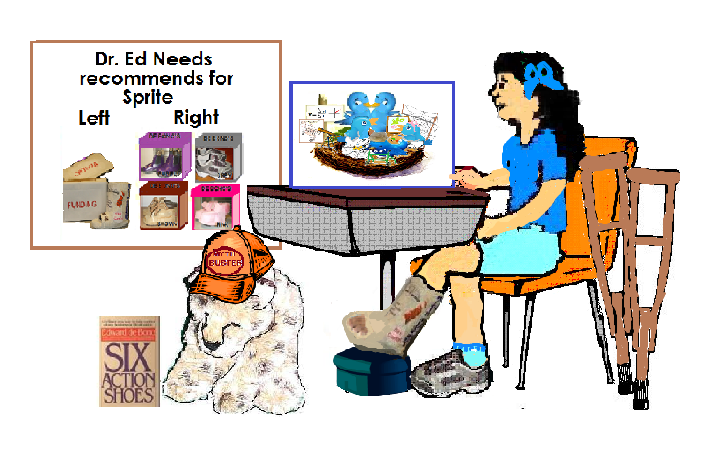 Intellectual Dabrowski tells Sprite that she should request non-fiction rather than fiction books but Imaginational Dabrowski insists she would really enjoy fiction as well. She has quite a large collection of soft toys and has assigned characters and back stories to each one but she is not at all interested in dolls. So it was not surprising that she was not very interested in the doll house she was given. It was empty but had pictures of furniture which could be purchased at much additional expense in the rooms. While Sprite was looking at it and wondering why the house had three bedrooms and no bathroom Intellectual Dabrowski brought her what he claimed was a user’s manual: A doll house – Play by Ibsen. “Boring!” said Sprite and consigned the house and the book to the corner with the Chindogu gifts and impractical shoes. Arachnid moved in and set up a web design studio and the Ants made use of the kitchen. Imaginational Dabrowski noticed Arachnid and the Ants and suggested to Sprite that she should invite the Twitter Birds to paint and decorate the house and that she could add some furniture and create a home for Oliver Moremouse and the other mice. He hinted that if she installed a miniature topiary tessellation bird leaf tree in the doll house the topiary tree octopus (Octopus Topiarii) might be persuaded to move in also. So the Doll House is now well used and much loved.